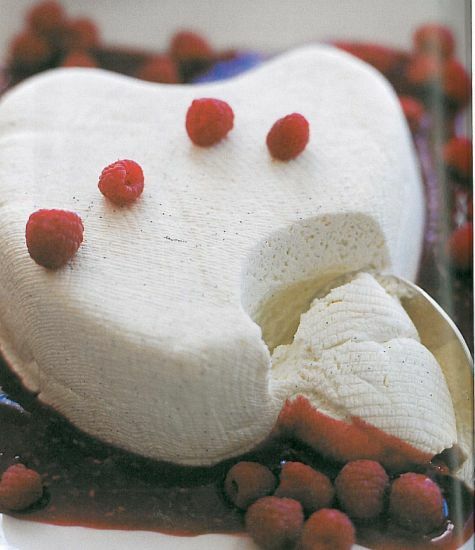 The Coeur à la Crème looks so simple but the taste is so amazing. 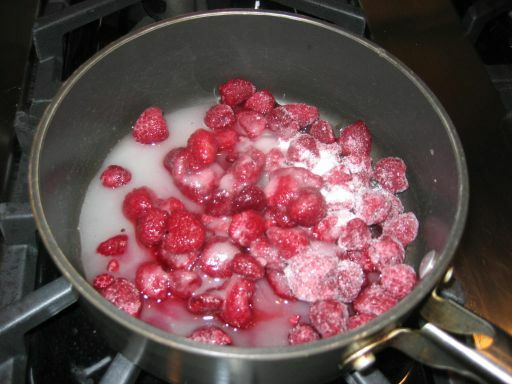 It is so light and tasty with a raspberry sauce, topped with fresh berries. 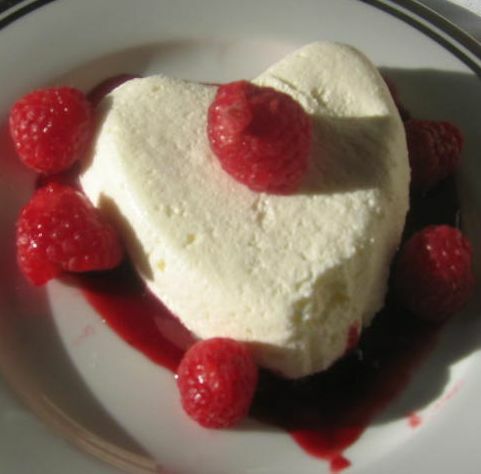 I wanted to make this dessert for so long but it took me a while to find the heart shaped mold. 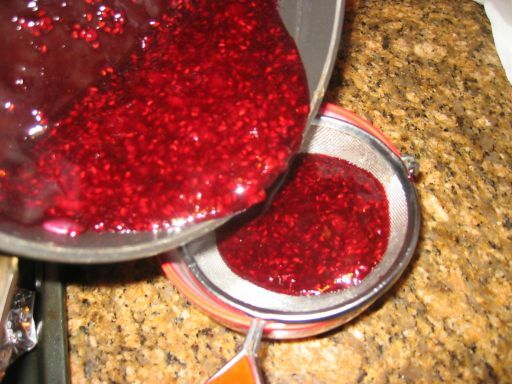 Now that I have a mold and I really enjoy this dessert I will make it more often and it is really easy to make requiring no cooking time whatsoever. 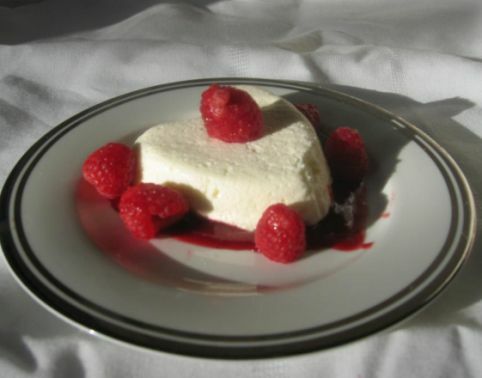 This dessert is great to for entertaining because you have to prepare the Coeur à la Crème a day in advance so the day of the party all you need to do is to take them out of the refrigerator et voila you have your dessert! 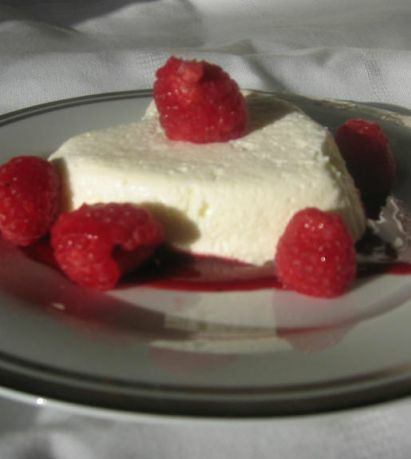 The Coeur à la Crème is lighter than air (really) and I also love the contrast between the white Coeur à la Crème and the red raspberry sauce! Perfect to serve on Valentine day! I am beating the Crème fraîche to a soft peak. 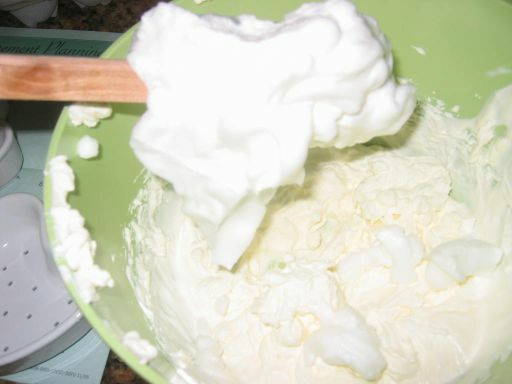 Beating the egg white to form a stiff peak. 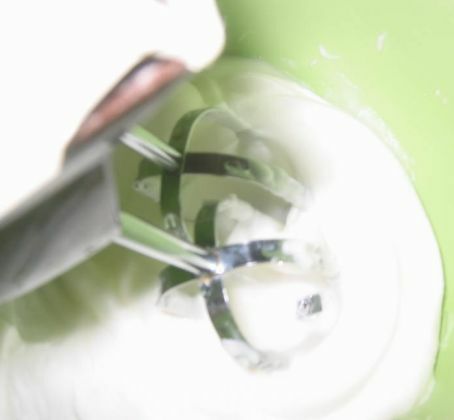 The egg white turned opaque once air is incorporated in. 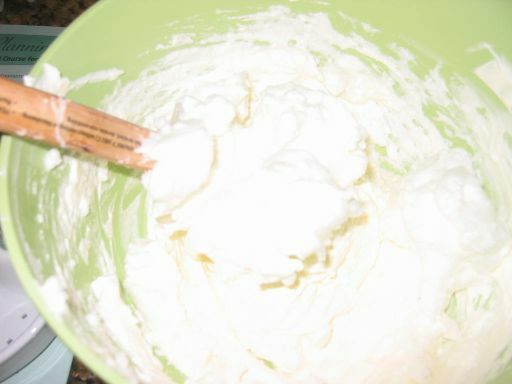 The egg white is then incorporated in the Crème fraîche. The egg white and Crème fraîche are now well incorporated. 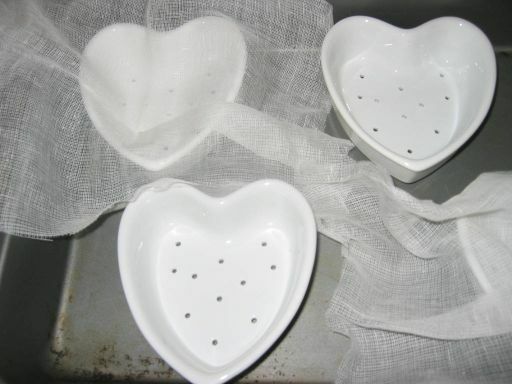 Coeur à la Crème mold and cheesecloth to line the molds. 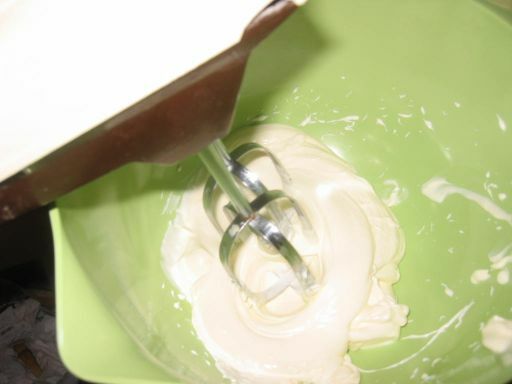 The mixture is then placed inside the mold. Draping the cheesecloth so the ends cover the sides. 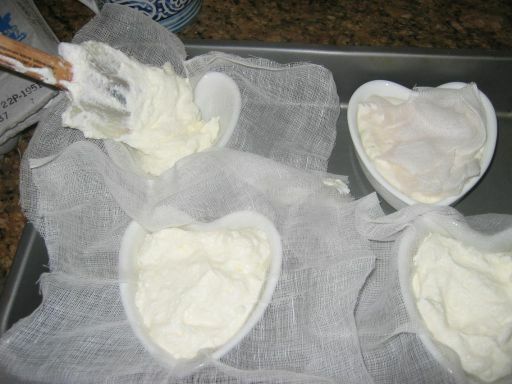 The cheesecloth will help drain all the extra liquid. 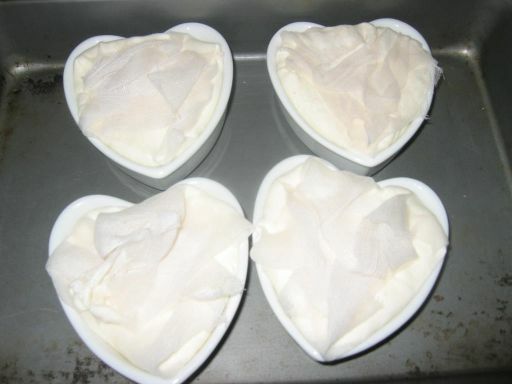 The Coeur à la Crème will be refrigerated overnight. 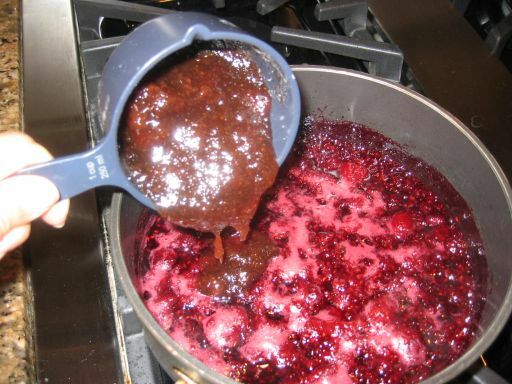 Jam is added in the cooked berries. 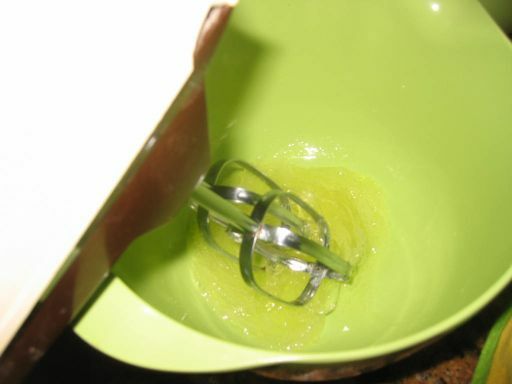 The sauce is pass through a strainer to remove all the seeds.